machine by godfather of all modern pinballs, Stern ! to rise through the family ranks to the "Boss" of the family. that wacky " talking fish " from Season Two that always jokes around with the players! and the machine plays THE SOPRANOS classic theme song, " Woke Up This Morning " during game play. 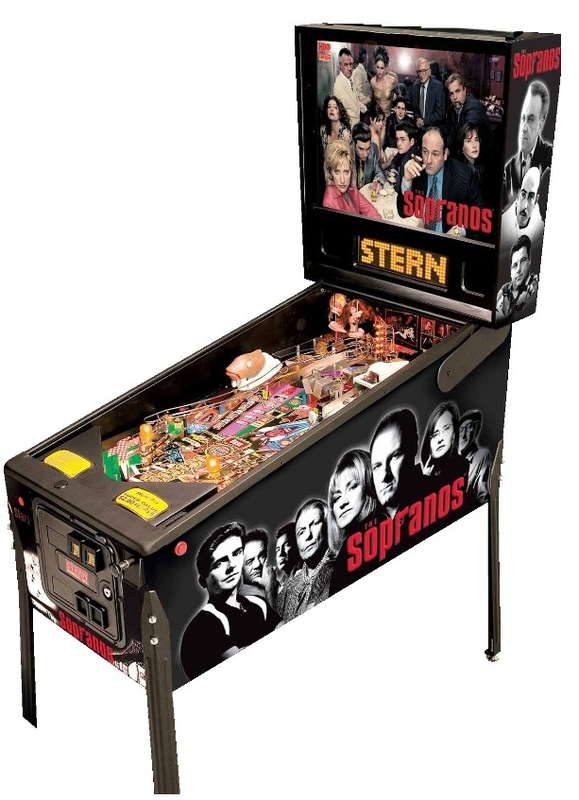 Pinball Hall of Fame artist Kevin O'Connor created THE SOPRANOS playfield artwork, while the cabinet and back glass artwork are taken directly from the original HBO show promotional artwork. Gary Stern says, " THE SOPRANOS is a great title for a pinball; with the show elements this game is really fun for all level players. The artwork can only be described as really stunning". THE SOPRANOS Pinball Machine is definitely one of the most exciting pinball machines to come along in years! (Drea de Matteo); and Best Writing for a Drama Series (Terence Winter). Films; executive producers, David Chase, Robin Green, Mitchell Burgess, Brad Grey, Ilene S. Landress, Terence Winter; co-executive producer, Henry J. Bronchtein; supervising producer, Matthew Weiner; producer, Martin Bruestle. 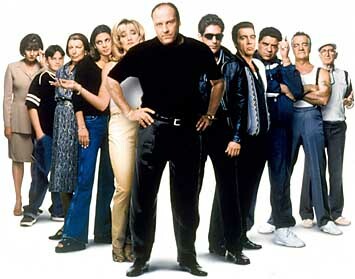 HBO ▪ and THE SOPRANOS ▪ are service marks of Home Box Office. Click here for info for all current Stern Pinball Machines !